L’Oreal 3-in-1 Lavender Smoothie Shampoo creamy formula gently cleanses hair, washes out easily and leaves hair extra shiny and smooth. L'Oreal Kids Soothing Lavender Shampoo makes your baby hair soft and smooth and gives a full shiny hair. L’Oreal 3-in-1 Lavender Smoothie Shampoo creamy formula gently cleanses hair, washes out easily and leaves hair extra shiny and smooth. This shampoo is excellent for kids and it smell nice keeps your baby skin safe and smooth. The delicious smell of Hyrax's Lavender Shampoo makes hair washing a real treat. It leaves baby hair feeling soft and smooth with no knots for hair that shines in the sun. 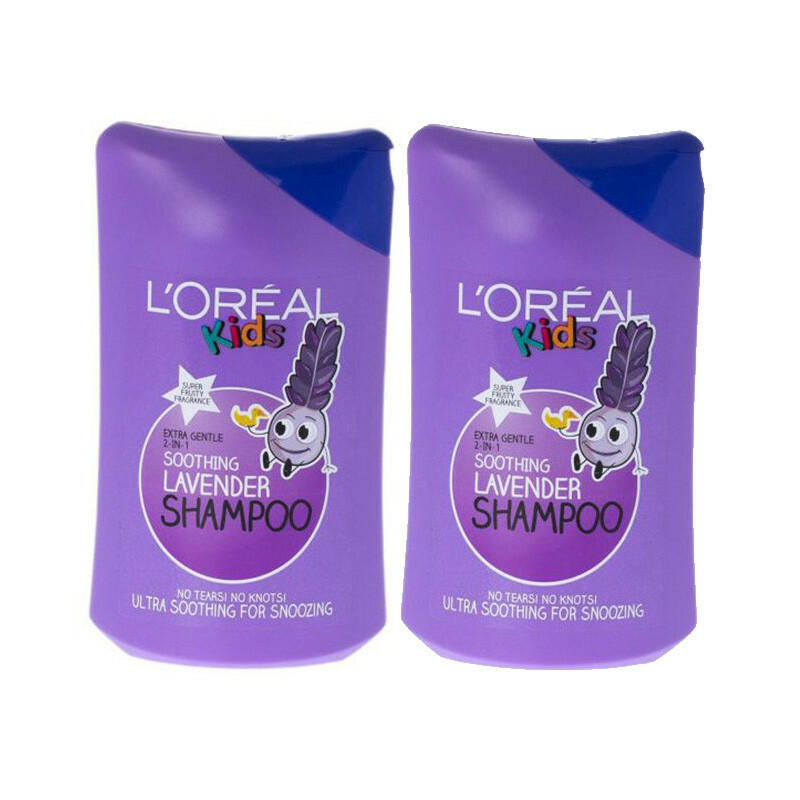 L'Oreal Kids Soothing Lavender Shampoo is so gentle, it is tearless. It smells so good and with its soft bottle, it’s easy to hold. The conditioning formula helps eliminate knots and leaves hair feeling soft and smooth and looking extra shiny.